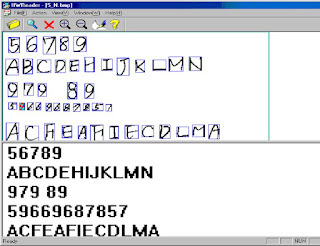 Optical character recognition (OCR) is the mechanical or electronic conversion of images of typed, handwritten or printed text into machine-encoded text. It is widely used as a form of data entry from printed paper data records, whether passport documents, invoices, bank statements, computerized receipts, business cards, mail, printouts of static-data, or any suitable documentation. 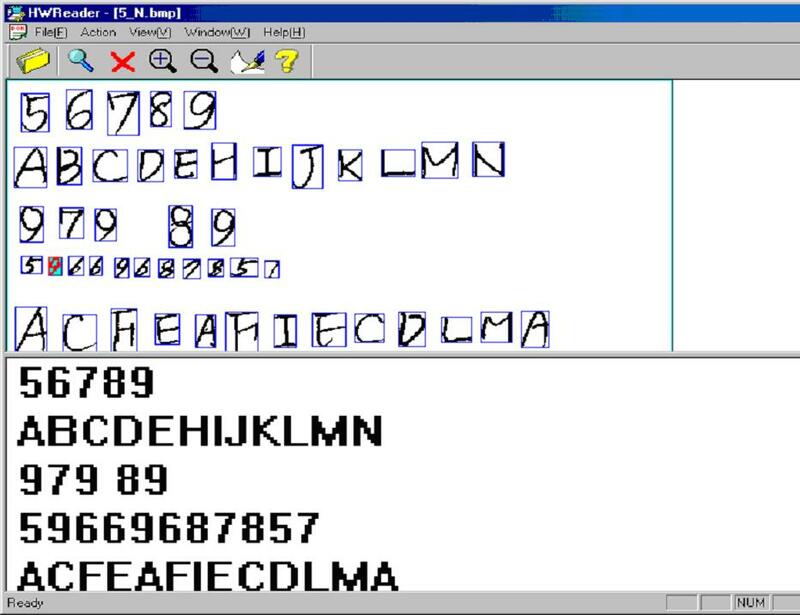 It is a common method of digitizing printed texts so that it can be electronically edited, searched, stored more compactly, displayed on-line, and used in machine processes such as machine translation, text-to-speech, key data and text mining. OCR is a field of research in pattern recognition, artificial intelligence and computer vision. Imagine being able to “google” any document in your organization based on a keyword or number reference. With OCR recognition software, you are able to search for your scanned documents by any name or number reference. 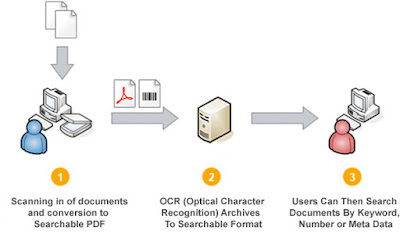 Scanning and Imaging: Documents are scanned into Searchable PDF format (Optical Character Recognition indexes all text, keyword and number references contained in the document). Storage: Very simply and easily route documents into existing folders on a local network or create new folders directly from the scanning device / MFP. Retrieval: Use Index search to locate any of your documents by name, keyword or number reference. Security & Disaster Recovery: Easy backup & storage offsite. Productivity Gains: You are no longer manually digging through file cabinets when trying to locate a document. Accessibility: Documents can be viewed by many people within your office or from remote off-site locations. Organization: Documents don’t become lost since there is no need to re-file. Space Efficiency: Save office and cabinet space in your office / workplace. Cost Savings: Employee and company resources are free from the manual handling, filing and re-filing of paper documents. Environmental Sustainability: Documents are printed and copied at less of a frequency due to access by staff across the network.